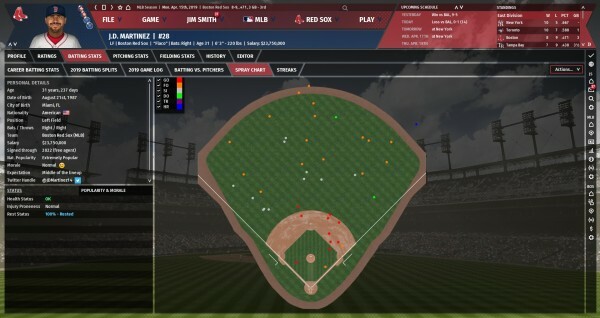 The Spray Chart sub-screen of the Batting Stats area shows you a graphical representation of the outcomes of all of this player's at-bats during the current season. Individual outcomes (groundouts, singles, etc.) can be hidden by unchecking them in the key at the upper left of the screen.